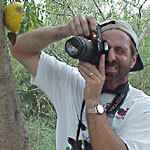 I am an avid self-taught naturalist and photographer, and have been photographing digitally since 2000. I am interested in all flora and fauna, and I especially enjoy the challenge of searching for invertebrates (in all seasons!) My searches take me to a variety of habitats including wetlands, forests, the coast, and fields. Most of my searches are conducted in New England (Massachusetts, New Hampshire, Vermont), although I also photograph invertebrates when traveling to other locations in the United States and abroad. Several of my observations are new records and provide additional information of species distribution and presence.